in the SAVA Center, Belgrade, Serbia. "TELEKOM SRBIJA", IEEE Region 8, VLATACOM, Ministry of Trade, Tourism and Telecommunications of Serbia, Ministry of Education, Science and Technological Development of Serbia, IEEE Serbia and Montenegro Section, PTT Communications “Srbija” and other supporters and friends. 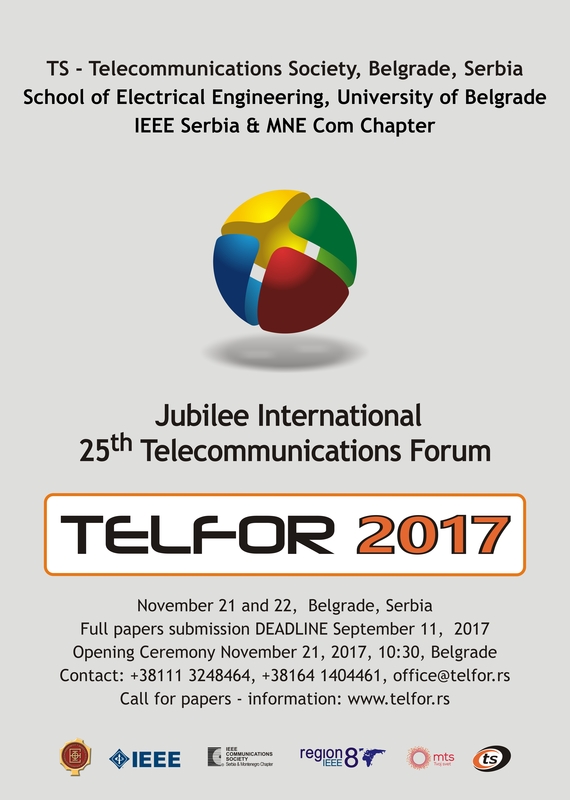 Opening Ceremony (around 700 participantas) and the entire course of the 25th Jubilee TELFOR 2017 Conference was transmitted on-line over Internet for hundreds of interested parties. Record of the opening ceremony, more interviews and other video attachments were posted on the Media pages at telfor.rs.